Twenty years ago last month, I witnessed my first yellow-billed cuckoo. 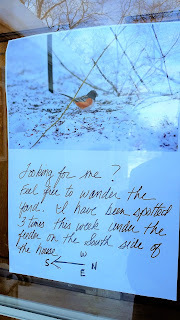 Saw it well, too, at Churchill Woods Forest Preserve in Glen Ellyn. A few things made that experience especially rewarding. First, I found the cuckoo all by myself. It’s satisfying when that happens, even though it was pure luck. I happened to glimpse the bird as it flew to a tree. Secondly, at the time of discovery, yellow-billed cuckoo was like a mythical species to me. As a serious birder for about four years, I was beginning to wonder if cuckoos really exist. 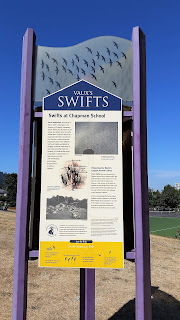 Well, they do, and not just yellow-billed. There’s also the similar black-billed cuckoo, which in our region is even more elusive. Adding to the challenge is that both birds are declining. 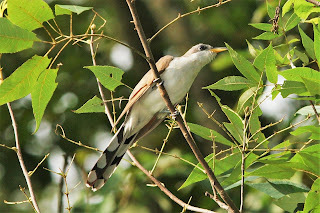 Black-billed cuckoo, in fact, is listed as a threatened species in Illinois. Cuckoos are secretive, preferring leafy trees and prone to long periods of inactivity. Birding guru Pete Dunne describes them as “slothlike.” Even if you locate a cuckoo it can be hard to observe the whole bird. My lifetime cuckoo sightings total about 20, yellow-billed and black-billed combined. Amazingly, three of those sightings (all yellow-billed) were in my yard, the last coming in 2008. I haven’t seen a cuckoo of any kind in 2018, and time is about up. Cuckoos are now migrating to their winter homes in Central and South America. Today’s column was only partly inspired by my lucky sighting two decades ago. 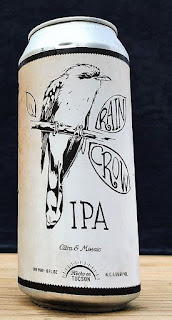 The other trigger was Rain Crow IPA, a new beer bearing the colloquial name for cuckoo, which according to folklore vocalizes before it rains. I’m keeping an eye out for Rain Crow IPA at Binny’s. For now, however, it’s a western thing, introduced in July by Audubon Arizona in collaboration with several craft breweries in Tucson and Phoenix. The brew calls attention to water conservation needs and the importance of healthy rivers. 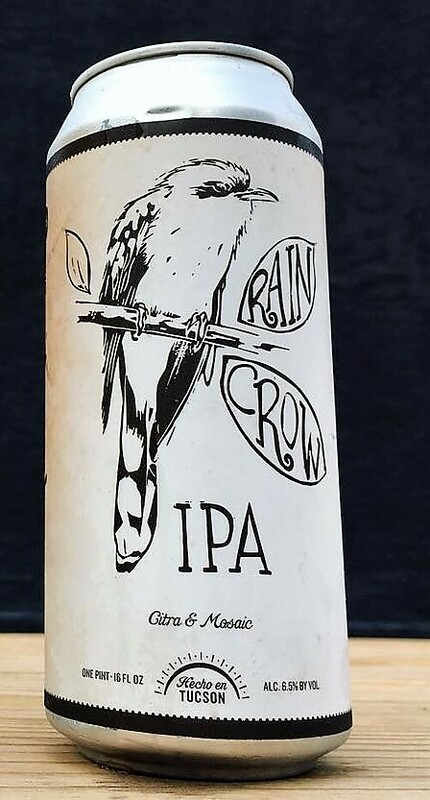 The increasingly scarce western race of yellow-billed cuckoo, depicted on the Rain Crow IPA can, depends on riparian woodlands. A sustainable water supply, Audubon says, is essential to the species as well as the region’s other birds, wildlife, communities and economies. Brewers clearly have a strong vested interest, too. I was indeed fortunate to see my own rain crow that day at Churchill Woods. Cuckoos are quiet during fall migration; they give no vocal clues. In the spring and summer, though, listening for cuckoos is our best chance of finding them. “They are shadows living in a world of shadow, and we identify far more cuckoos by call than by plumage,” said Eirik A.T. Blom, writing for Bird Watcher’s Digest. Just don’t expect to hear your grandmother’s cuckoo clock. The birds do not sound like that. But with a little practice you can learn what to listen for and tell our two local cuckoo species apart. To hear them, go to All About Birds, the online resource provided by the Cornell Lab of Ornithology. As a family, cuckoos are slender birds—about the size of a mourning dove but less plump—with long tails. 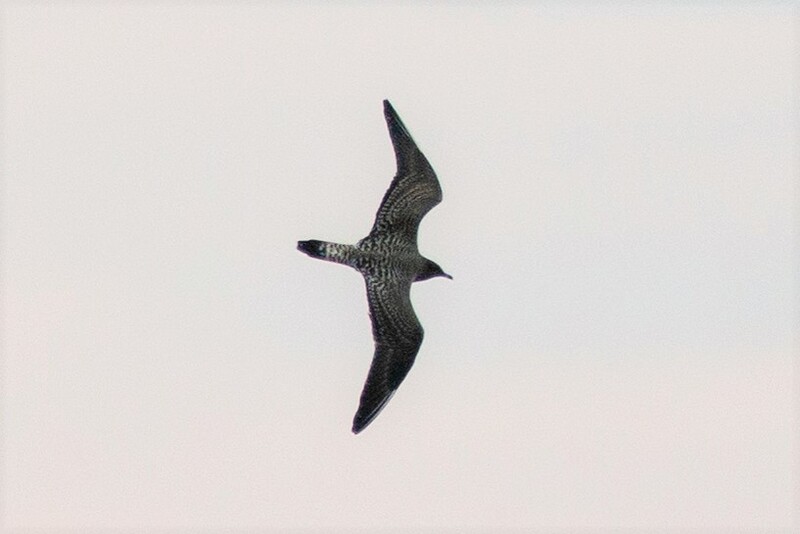 Gray-to-brownish upperparts, white below. When you spot one, your job is to ID the species. As the names indicate, bill color is a key field mark. Other distinctions are the red eye ring on the black-billed and differing underside tail patterns—bold white spots on yellow-billed, faint white bars on black-billed. 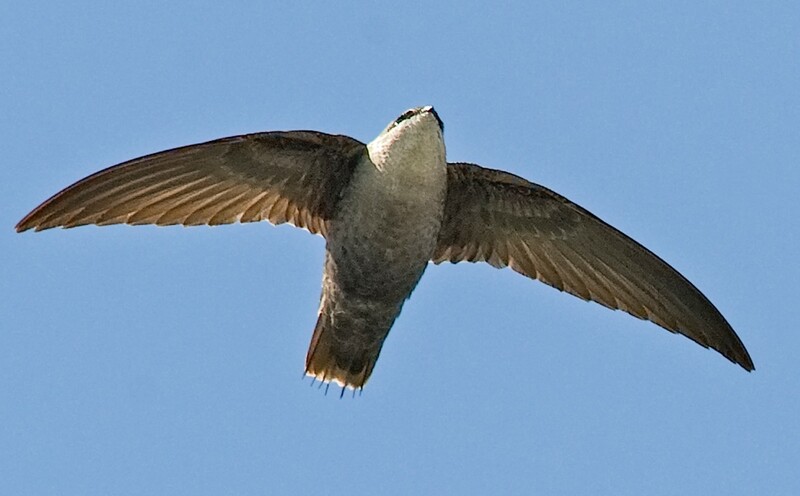 There is a third cuckoo species that in North America is found only in southern Florida. At least that’s the rumor. I’ve been chasing the mangrove cuckoo for many years without success. It currently tops my Most Wanted list and I envy anyone who has seen one. If that includes you, please don’t tell me. Some birds just take time. Eventually we find them, or they find us. My first yellow-billed cuckoo was like that, and last year a worm-eating warbler finally crossed my path. But since I don’t live in Florida, mangrove cuckoo may well be a lifetime pursuit. That’s OK. In birding, anticipation is a positive force! I will not let a cuckoo drive me crazy. On a sunny July morning, I woke up extra early with a bird on my mind. No surprise there. But this bird was different. I’d seen it before but never in the United States. It was time to do something about that. The plan was to meet Al Stokie, the most avid birder I know, who’d generously agreed to help me find a European goldfinch. He knew of two places in Lake County where the species regularly occurs. European goldfinch is a non-native “introduced” species, and not officially countable for birders who spot one in North America. (At least not yet; more on that later.) I’d admired this red-faced beauty before during a trip to Ireland in 1996. 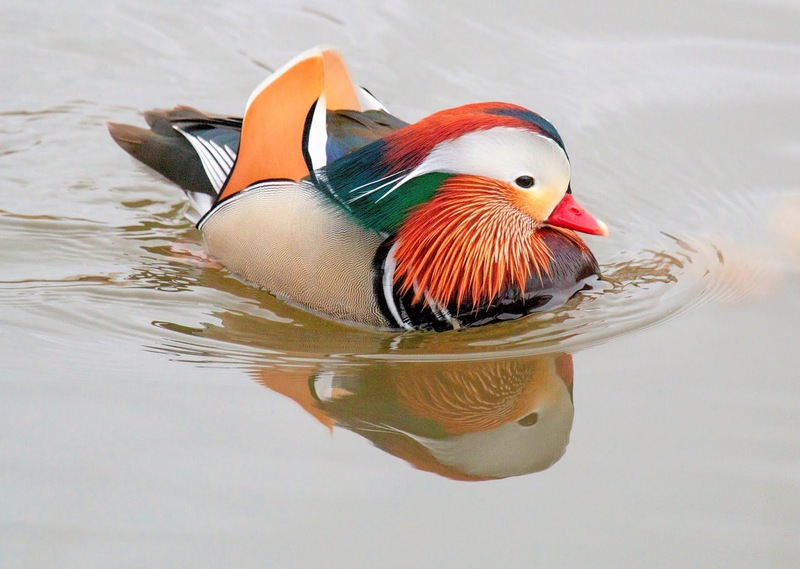 It’s a common bird throughout the U.K. and European mainland—a must-see species for any visiting birder. How and when European goldfinch arrived in Chicagoland isn’t exactly known but they’ve been nesting here since at least 2003. 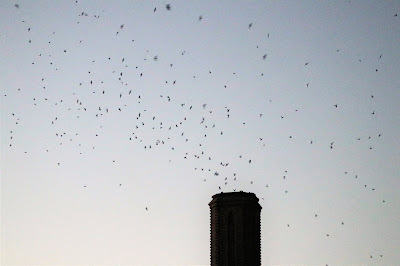 Most likely a colony developed after some imported birds escaped from their cages or were released. Our local monk parakeets share a similar provenance. A close relative of our bright yellow American goldfinch, European goldfinch is not widespread in the region. 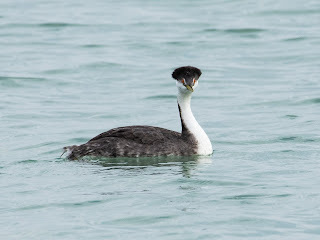 But the species is certainly breeding in Lake County and its population is growing. It is not considered invasive or a threat to ecosystems. In that regard, Euro goldfinch differs from non-native bad guys like house sparrow and European starling. Plus, this is one fine looking bird. Countable or not, I wanted to see a European goldfinch on American soil. I met Al at Waukegan Beach, one of his usual haunts. Sure enough, within two minutes, several adult European goldfinches were in plain view. The birds flew around as group and kept returning to the utility wires above the parking area, making it easy to observe their red faces, whitish bills and large yellow wing patches. Al pointed to some trees in the adjacent park where the birds apparently nest. 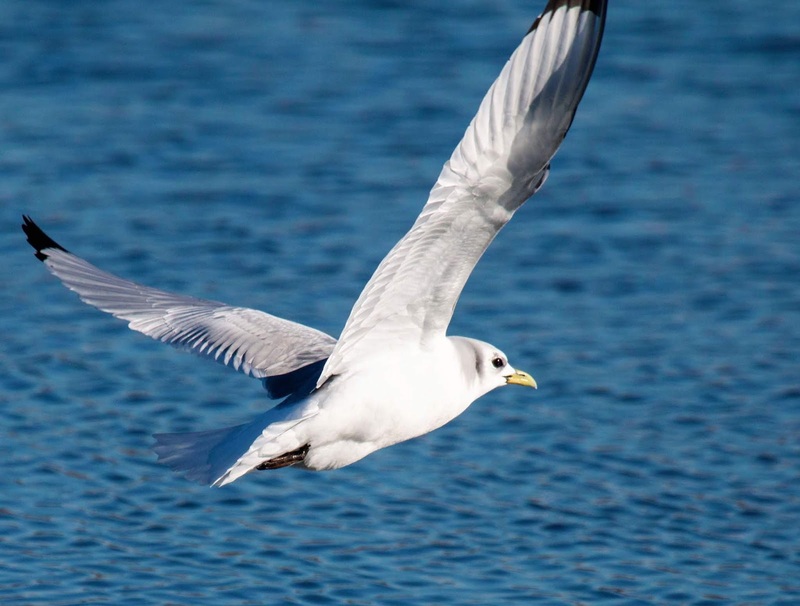 Among birders, Waukegan Beach is best known for gulls, waterfowl and shorebirds. 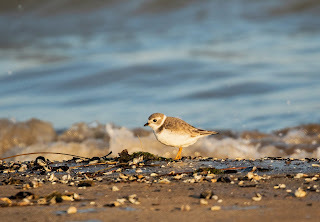 Al and his friend Bob showed me a staked-out piping plover, also viewable from the parking lot, and then a small colony of nesting common terns in a protected area along the beach. Both are hard-to-find, state-endangered species. Out next stop was the south unit of Illinois Beach State Park, where we quickly located a few Euro goldfinches in the pines outside the resort and conference center. Al and Bob moved on from there, in search of other avian quarry, leaving me to work on getting a good photo. My limited camera skills combined with skittish goldfinches were getting me nowhere when a couple on bicycles pulled up. Steve and Mary were birders and recognized one of their kind. I told them what I was up to and they gushed about the European goldfinches that visit their Pleasant Prairie (Wis.) backyard. Steve suggested that I visit The Bird Nest, a store in Kenosha. 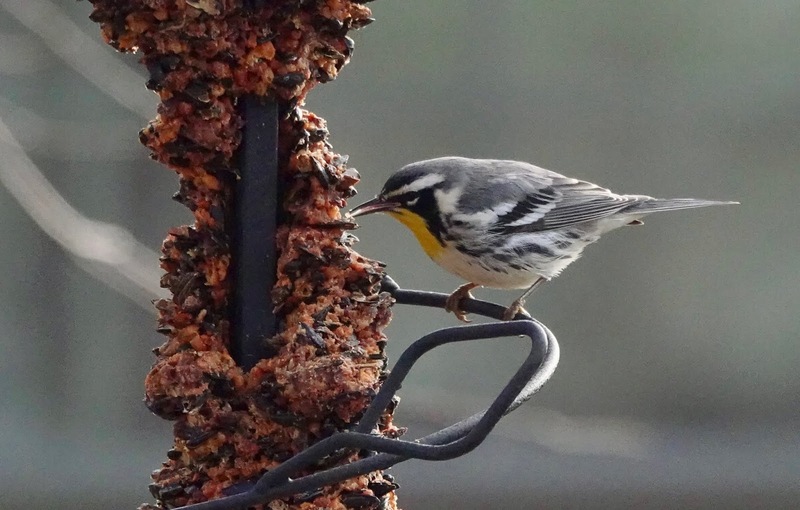 Euro goldfinches flock to the feeders behind the store, he said, where a nice viewing area is set up for onlookers. How could I resist? I pointed the Jetta north and crossed into America’s Dairyland. The Bird Nest was easy to find, just off I-94 next to a massive Woodman’s. The shop’s manager, Brian Nett, invited me to head out back and enjoy the show. Right away I knew this would be an entertaining hour or two. About 15 kinds of birds were coming and going to all manner of feeders, including the species that brought me there. For close views of European goldfinch, this place is a lock. Brian told me the finches arrived about seven years ago, and that their numbers are growing. The store’s feeding stations typically host six to 10 birds at a time in the summer and up to three dozen in winter. These are hardy, non-migratory birds. Safflower is their seed of choice. The Bird Nest in Kenosha, Wis. 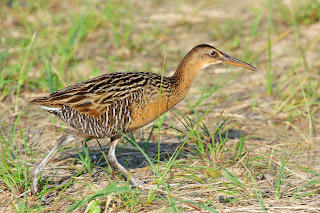 I hadn’t noticed any young birds at the two Illinois sites. At The Bird Nest feeders, however, juveniles outnumbered the adults. Aside from their yellow wing patches, they were nondescript and seemed less wary than the parent birds. Or maybe they were just hungrier! My time in Kenosha recalled a similar birding experience in 2013, at the Sugar Grove Nature Center near Bloomington. My target that day was Eurasian tree sparrow, another non-native species that tweaked my curiosity. 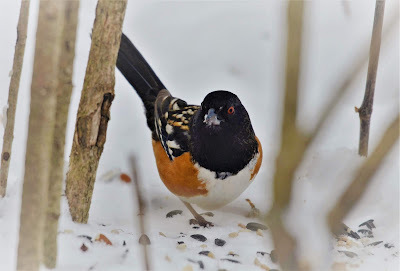 I’d heard the bird frequented the nature center’s feeders and was not disappointed. The tree sparrow is officially countable in North America because it’s been here since 1870. 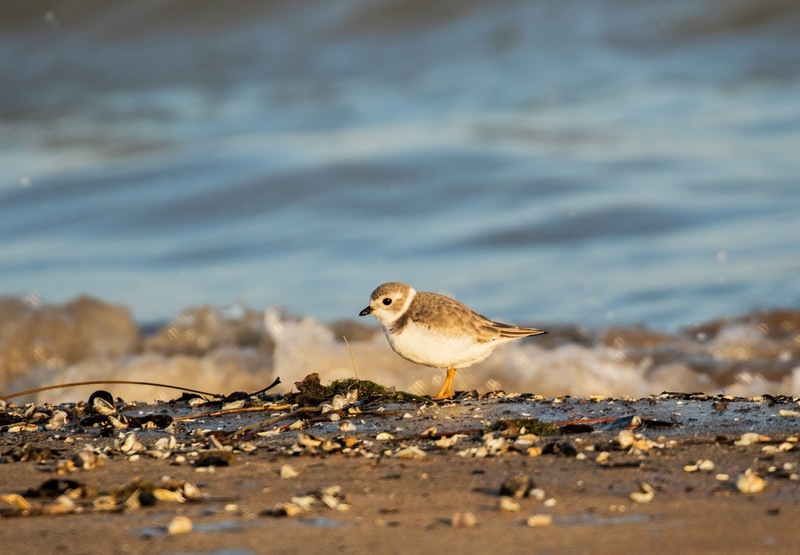 Despite a small geographic range—west-central Illinois and Greater St. Louis—the bird’s population is obviously established and self-sustaining. You can go see it like I did and add it to your life list. Not so with European goldfinch. You can see it but not list it. 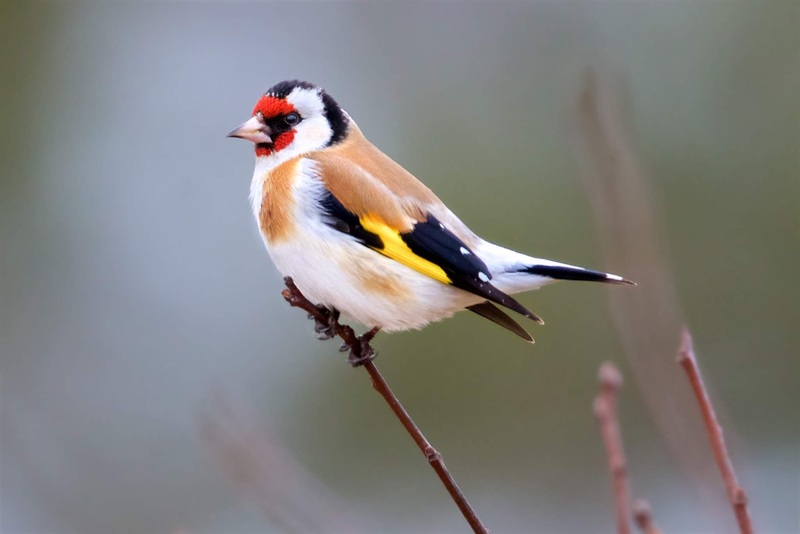 On this side of the Atlantic, the ornithologists who decide these matters have been slow to confirm what everybody seems to know: European goldfinch is here to stay. A change in classification seems inevitable. Perhaps within five or 10 years the species will become “official,” making the birds in Lake County and southeast Wisconsin fair game for rule-abiding listers like me. Meanwhile, I recommend a stop in Kenosha if you’re up that way. Shop at The Bird Nest, watch the feeders, and maybe have breakfast or lunch at the Perkins next door. Here in DuPage, be alert for a surprise visitor. A lone European goldfinch sampled a Wheaton backyard feeder in February 2016. The first thing you should know about Keriann Dubina is that she likes brown-headed cowbirds. In fact, she’s a local authority on the species that most birders love to hate. She goes against the birdwatching grain further by choosing not to keep a life list, and she’s not inclined to put her life on hold to chase a rare bird. But don’t get the wrong idea. 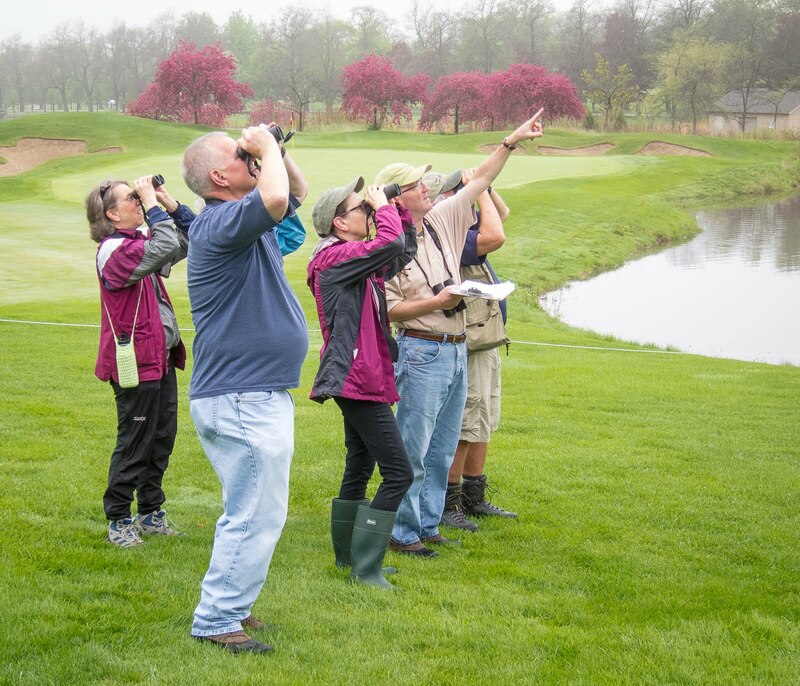 Dubina is a birder to the core, and more importantly she’s nurtured a lot of new birders since joining the Forest Preserve District of DuPage County as a full-time naturalist in 2011. Her main tool of introduction is FullersBird Fridays, a series of weekly walks in the spring and fall that began in 2005 and quickly developed a loyal following. Dubina began leading the walks in 2012, which at that time were conducted only at Fullersburg Woods in Oak Brook, where she is based. 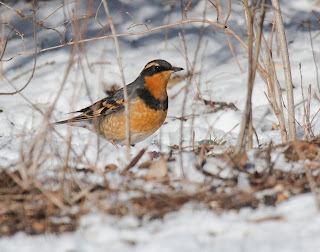 Three years ago, the series branched out, taking birders to a different preserve every week. The idea is brilliantly simple, tailored to those who enjoy organized bird walks in a variety of places. FullersBird Fridays provide the gentle push we sometimes need to go somewhere new and meet other birders. Dubina and her colleagues have led walks at 22 DuPage County forest preserves since the show hit the road. 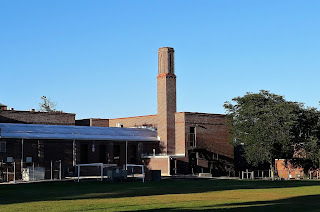 Meacham Grove, in Bloomingdale, joined the rotation this spring. The DuPage system features 60 preserves. Some are considered better for birding than others, but there will always be plenty of choices. When I chatted with Dubina for this column, we’d just finished a walk at St. James Farm in Warrenville. Among the avian highlights that morning were several orchard orioles. This reinforced her point about the value in surveying different properties. “We never see orchards at Fullersburg,” she said. The Friday walks coincide with spring and fall migration, which guarantees excellent birding no matter where the group travels. Dubina further schedules certain locations for certain dates to maximize success. 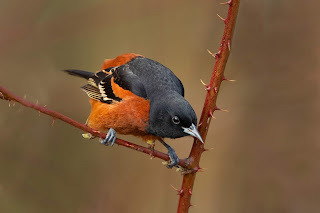 On the first or second Friday in May her choice is always the Elsen’s Hill section of West DuPage Woods near Winfield, a perennial hotspot for migrating warblers. The final spring walk goes to Springbrook Prairie in Naperville, a fine place for spotting grassland birds after the warbler wave of early and mid-May. Springbrook is high on Dubina’s list of favorite preserves, given her fondness for prairie habitat. 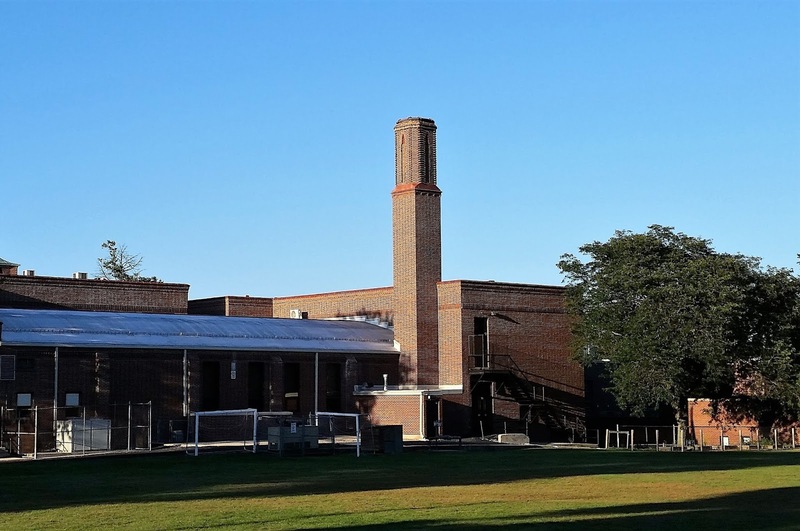 She also likes St. James, McDowell Grove (Naperville) and Waterfall Glen in Darien, where she once enjoyed walks with her grandfather. Dubina grew up in Lockport—and with birds. Her father worked at Brookfield Zoo, on the business side, and members of the household included exotic parrots. Young Keriann took a liking to wild birds, too, especially the common loons she encountered during summer trips to northern Wisconsin. If forced to name a “spark bird,” she’d go with those northern divers. The cowbird thing happened later in life, at Western Illinois University. Dubina first earned a bachelor’s degree in zoology, taking an ornithology class along the way and learning to bird by ear. She stayed on at WIU for a master’s in ornithology, focusing on bird behavior. Her thesis? The egg destruction behavior of the brown-headed cowbird. I attended a lecture by Dubina in 2013 about cowbird truths and myths. Her talk was fascinating, and I’ve thought about the species differently ever since. “It’s funny how emotional people get about cowbirds,” said Dubina, who appreciates the complex natural history of the brood parasite far better than most of us. Don’t worry, if you attend a FullersBird Friday you won’t get lectured about cowbirds. What you will get is a guided birding tour of a local forest preserve that’s likely dripping with resident and migratory birds. 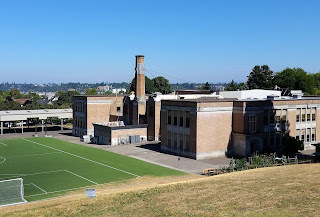 It might well be a place you’ve known about for years but never visited. The company will be friendly, the scenery interesting and the potential for surprise sightings high. Just ask the Herrick Lake birders who on April 20 watched a flock of 16 American white pelicans wheel over their heads. The two-hour FullersBird walks are well-suited to new birders. They average about 20 participants and some are regulars. 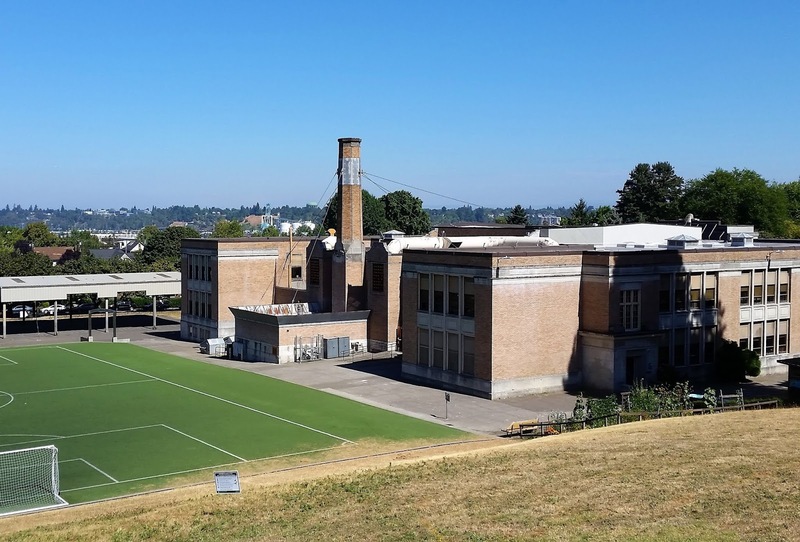 Those registering in advance pay a $3 fee, which feels like a donation. Walk-ons contribute $5. The fall edition of FullersBird Fridays begins on August 31 at St. James Farm. Check dupageforest.org for the complete schedule and to register for one or more walks.